Bless Blizzard for they had sinned: it had been one year and three months since the launch of the last evil Diablo character in Heroes of the Storm. 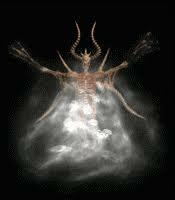 That is until Mephisto, Lord of Hatred, entered the fray this week. Having taken him for a spin through the PTR and in the live version I can't say that his Heroes incarnation fits the fantasy of the character, but his penchant for big plays ensures that he'll always be a fun pick depending on the mode. On paper Mephisto's kit as as simple as it comes. He's a mage that can throw a skillshot skull missile (Q), pop a 2.5 second nova ring (W), and throw a shade to teleport (then teleport back, E). 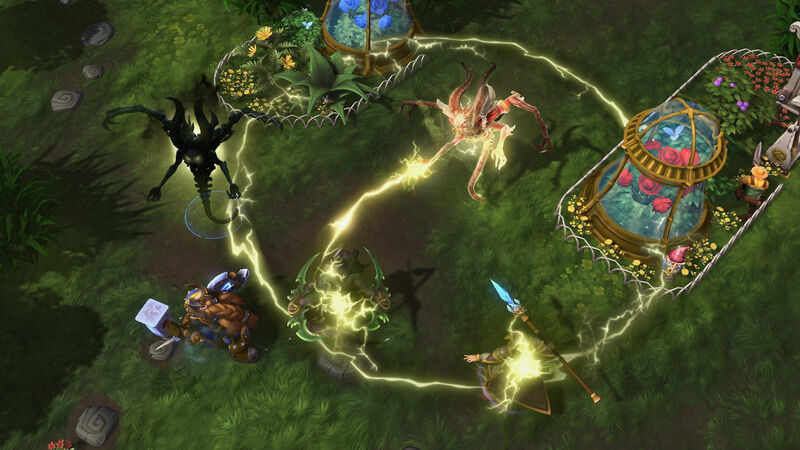 You've seen all of these abilities before in Heroes of the Storm on multiple characters, but where he really comes together as a complete beast of burst is his trait. "Lord of Hatred" reduces your cooldowns by hitting enemy heroes. Boom. If you play with this rule in mind Mephisto's day-to-day as it were shifts priorities entirely. You're going to want to actually connect with your hits so all of your abilities can cast quicker, so you can further reduce them and...you get the picture. Missing with something with another character is usually associated with a mana cost that could force a costly retreat back to base, but with Mephisto it's even more damning. You also really need some good support and peeling (a MOBA term when a tank literally peels enemies off someone who's vulnerable). A common combo is to teleport in unexpectedly with your shade, pop a W nova and go to town. If you hit enough people you can do insane area-of-effect (AOE) damage as your nova will be readily available quickly due to your trait, and you can possibly work in one of the two team-hitting heroics into there. If your tank doesn't come through or you're out of position though you'll be squished in seconds. Having experienced the genre since the dawn of the original DOTA mod, playing Mephisto feels like using a token genre mage. It's genuinely exciting when you hit those explosive plays and take out multiple foes but I don't really feel like I'm using the Lord of Hatred. Heroes implements occasionally terrifying visuals to help differentiate their cast, and I think that would have benefited Mephisto with that sparing use of them. If you don't dig his art style there isn't a lot of fluff to help. The "Star Wraith" premium skin goes well with Space Lord Leoric, but eliminates the whole "swirling mist" vibe of the original Diablo II look. A 400 shard Mephisto announcer is always welcome (I pop these like candy whenever a new hero is out), but his inability to ride on any floating mounts (even clouds), a lack of Diablo baddie banners, and only one spray isn't a lot of flair to go along with the launch. While I normally work new heroes into my rotation for the foreseeable future, especially in quick match, I'm not so sure about Mephisto. Having played League of Legends' Karthus (and Zeus) for so long I'm not as excited to use the Consume Souls heroic as some, which is arguably the most impactful part of his kit. That's perfectly fine though: there's a ton of options to choose from over three years into 1.0, including Tyrande's recent rework.